Wonderful! 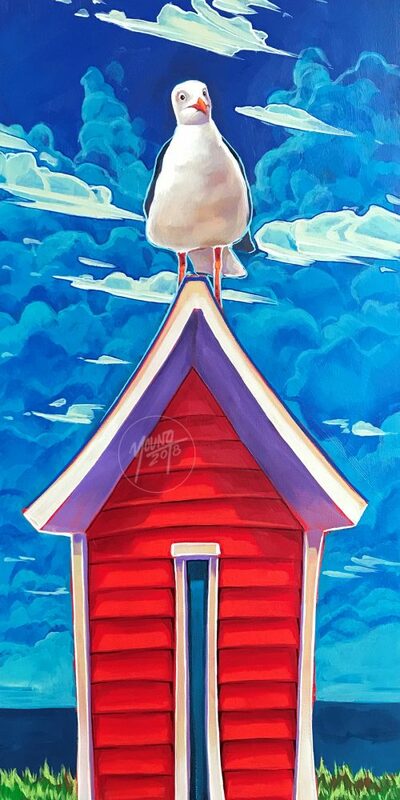 My wife misses NFLD very much so want to get her your art to help bring a smile to her while she lives here in Alberta. Is this available in print yet? Please let me know so I can order one and get it framed. I will be framing it with swatches of the NFLD tartan. 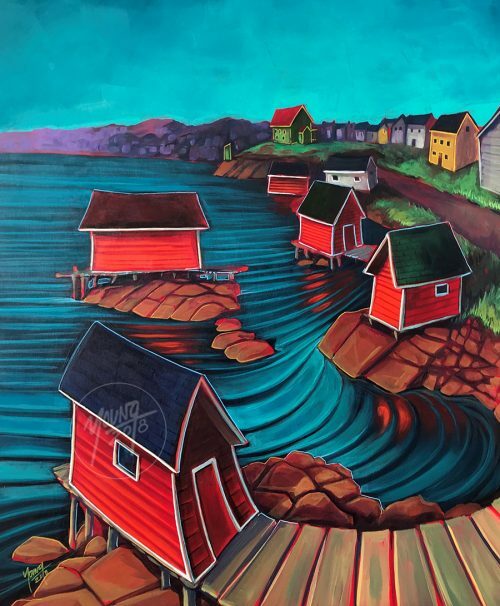 Is harbour lights available in a print? 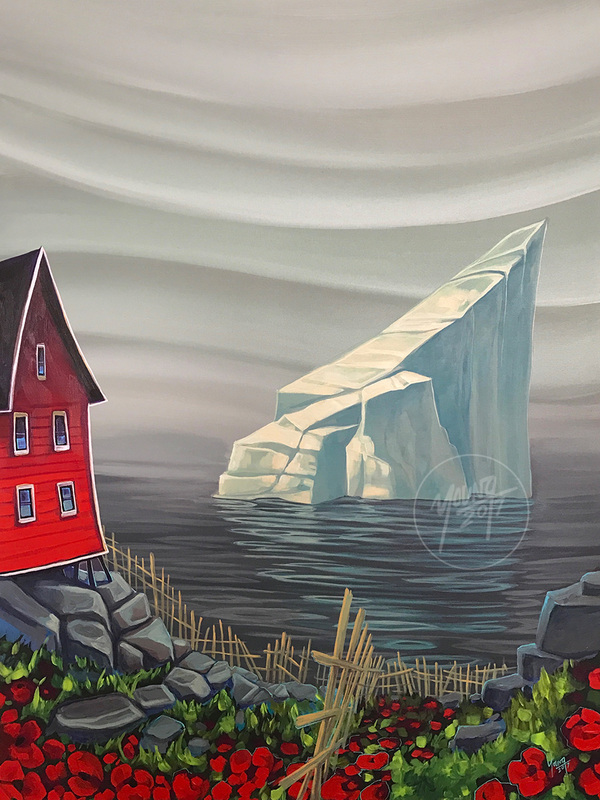 I would like to get it as a partner piece to waters edge. Is this piece available in Paper Print? Hi, Is Harbour Lights available in paper print. 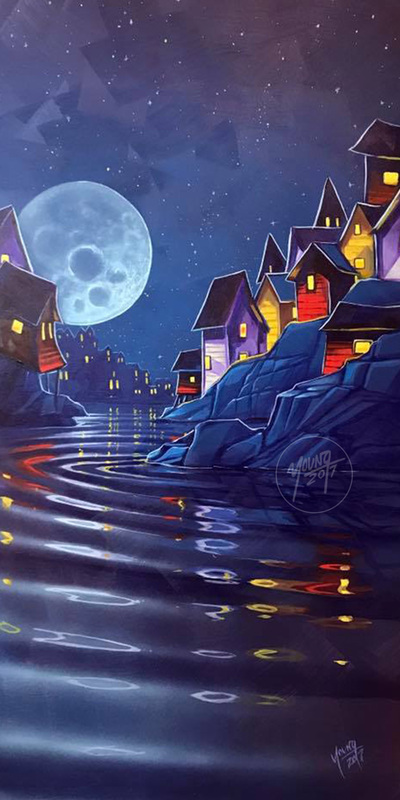 It has it all – water, colour, and the moon! I love it! Hi Karen! Sorry but it was sold as an original only! Can you purchase this or just what is under the ‘Shop’ tab? Hi Linda! Sorry to say but that one was sold as an original only!